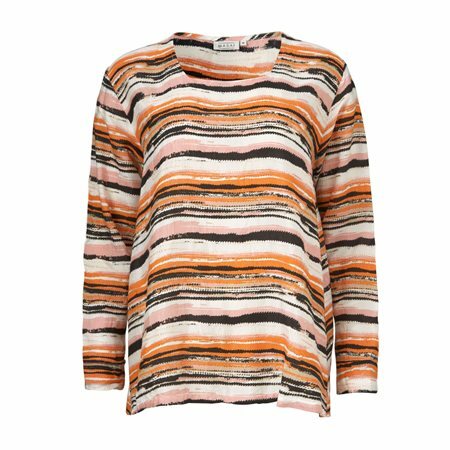 This beautiful top has been designed with a striking pattern on a bright colourful background in a crinkle finish. This top has an A-shape cut making it slightly fitted across the top and loose towards the bottom. This pretty top had full length sleeves with a square neckline.